The Senate has kicked-started the scrutiny of the 2016 budget proposals of ministries, departments and agencies (MDAs) with the Ministry of Education. 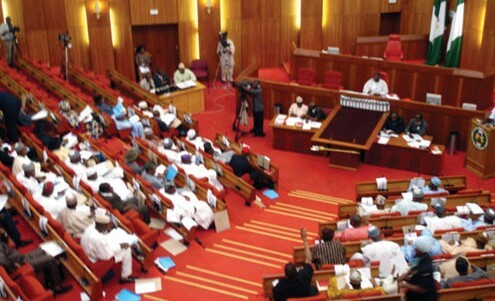 The Senate Committee on Education, during the scrutiny on Monday discovered that the education budget was blown up by over N10 billion. Daily Post reports that the Minister of State for Education, Prof. Anthony Anwuka, was dumbfounded when he was confronted with questions on how the personnel budget for pararastatals under the ministry was hiked from N88,199,311,758 billion in 2015 to N98,181,570,237 billion in 2016 budget document. The minister claimed ignorance of the increase and pleaded with the committee to take the matter up with the Permanent Secretary, Mrs. Folasade Yemi-Esan. Senate Chief Whip, Olusola Adeyeye, who is also a member of the committee, drew the attention of his colleagues to the fact that in 2015, personnel cost was N88,119,758, and pointed out that it was increased to N98,181,570,237 billion in this year’s budget proposal. Angered by the revelation, committee chairman and former governor of Sokoto State, Aliyu Wamakko, asked Anwuka to explain the increase. The minister claimed he was not part of the budget preparation. He again diplomatically requested Wamakko to direct the question to the permanent secretary. On her part, Mrs Yemi-Esan said: “The variants, it depends on the number of people that still exist on the IPPIS. So, it’s an automatic thing. As people retire, automatically, the balance comes down. So, if they are not replaced by new staff, then, we will have this variant. So, it is not that we lost some money. If during the year, a number of people retired, then the balance at the end of the year will be reduced.